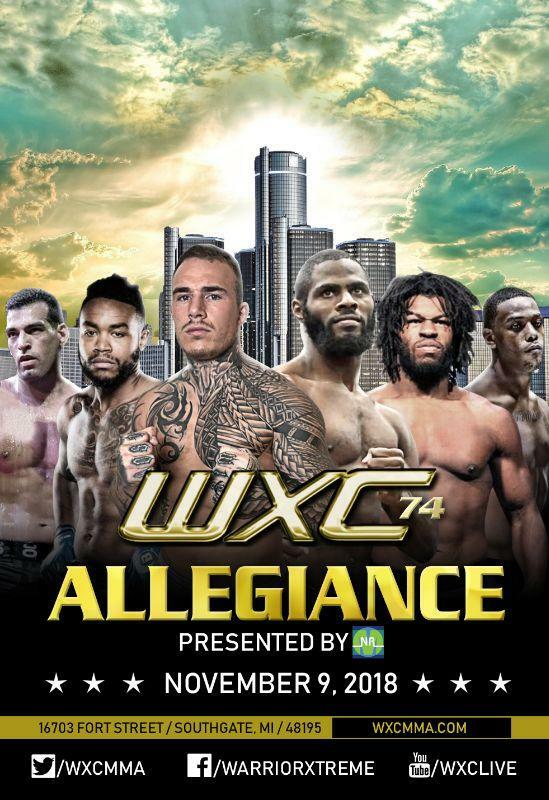 We wrap up another year of Warrior Xtreme Cagefighting at Crystal Gardens in Southgate, MI. To cap off 2018 we bring two professional MMA title fights to the WXC steel. The first title will be in our co-main event as Jamahal Hill battles Adrick Croes for our Light Heavyweight title. Our main event features fan favorite Willis 'Silverback' Black challenging for WXC Welterweight gold again, this time against Jake Bostwick. This card also features UFC veterans Sabah Homasi & Dom Steele. Join us on Friday November 9th, 2018 for a stacked night of high flying MMA, WXC style!